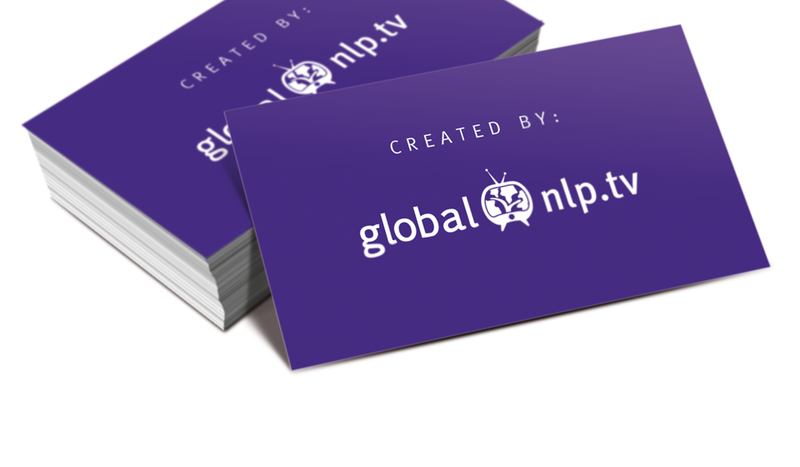 Global NLP Training’s Life Coach Certification courses are unique in both the NLP as well as Life Coach Training industry, and are considered to offer a life changing seminar by nearly all of our former students. 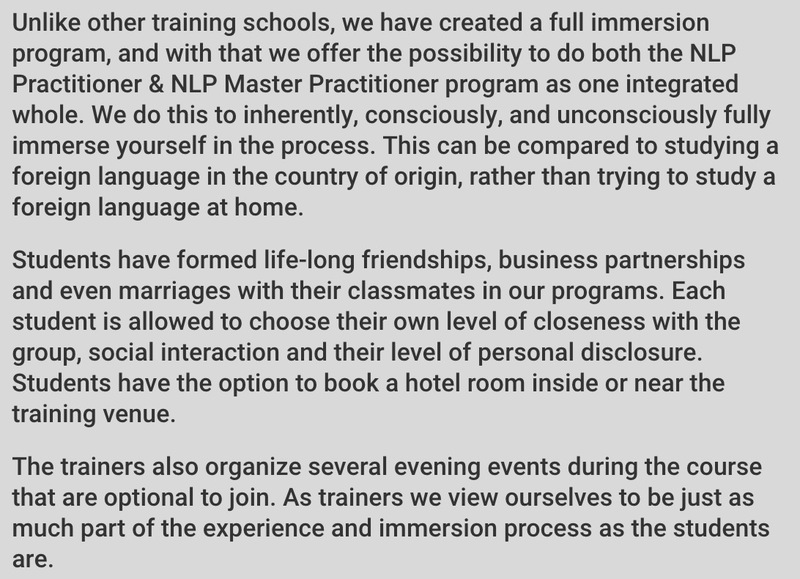 We offer a fully integrated 16 day immersion program combining the powerful methodology and techniques of NLP, especially developed for life coaching. Whether your interest in getting certified as a life coach is for therapy, personal empowerment, leadership or business, our certification courses will offer you the advanced set of tools and skills you need for personal and professional success. 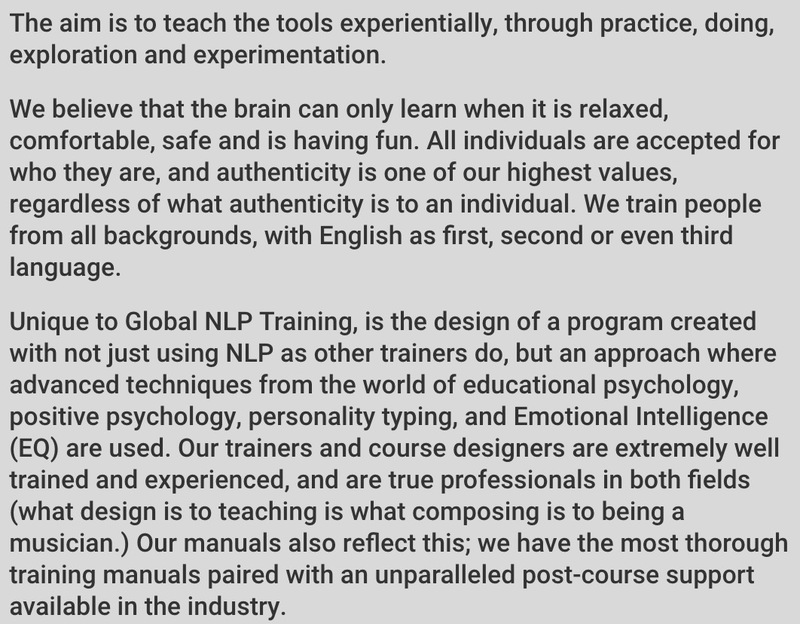 Global NLP Training is proud to be the only NLP and Life Coach Certification company in the world to offer personality profiling (the MBTI® instrument), Emotional Intelligence training, as well as learning how to apply NLP and coaching techniques in any niche market, personal or professional contexts. Our courses feature the highest level trainers and certification as well as the latest trends in NLP and life coaching on the market. 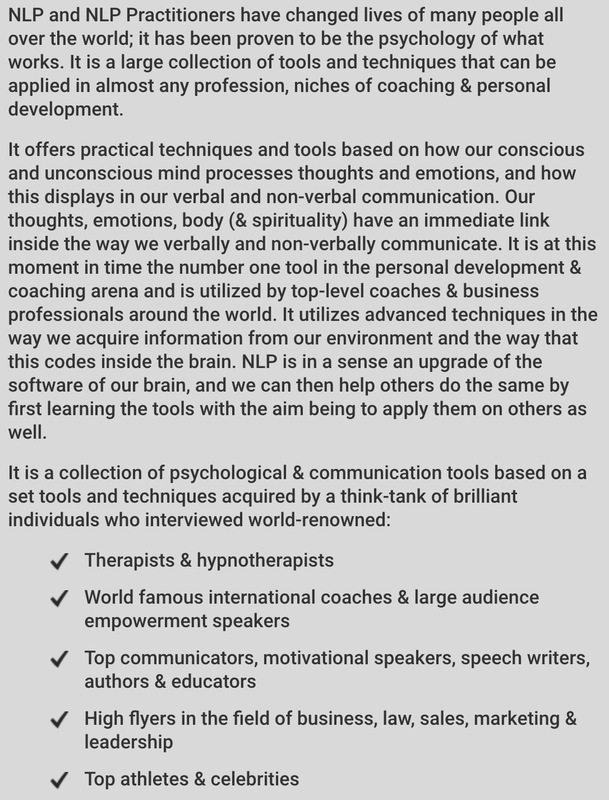 We offer stimulating NLP and Life Coach training courses throughout the world, and trained coaches with very different backgrounds, approaches, and niche markets. From coaches of celebrities and professional athletes, to life coaches focusing on general wellness, and personal therapy. 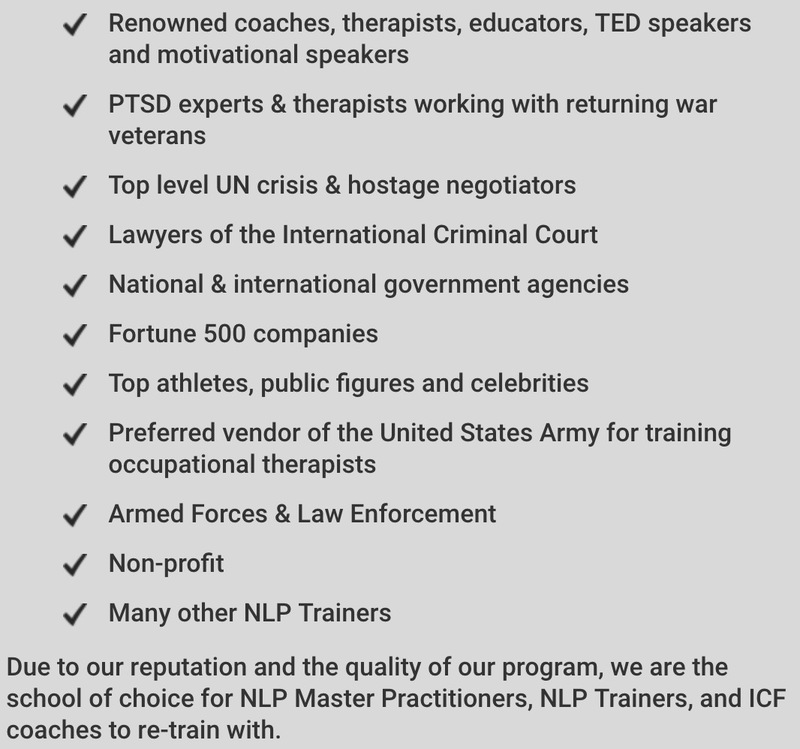 Even coaches using tools they learned in our training to relief returning soldiers from Post-Traumatic Stress Disorder (PTSD), addiction and abuse. Because of the advanced skill set we teach, our strong program, and our international reputation, we consistently sell out most of our trainings. We offer the best student to trainer ratio in the industry for all of our courses and workshops. 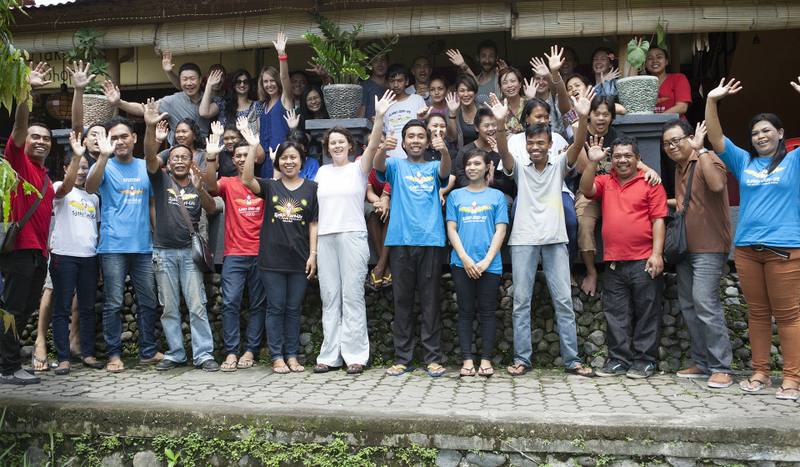 Your easy access to our trainers will give you personal attention and the learning experience of a lifetime. 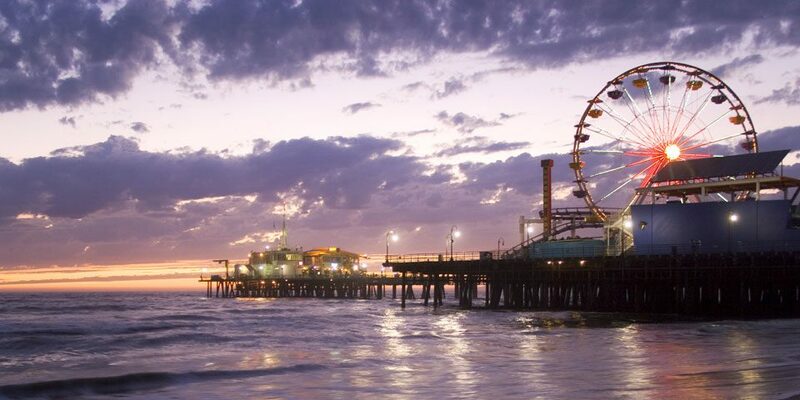 We offer NLP and life coach certification training in some of the most beautiful and exciting locations around the globe. 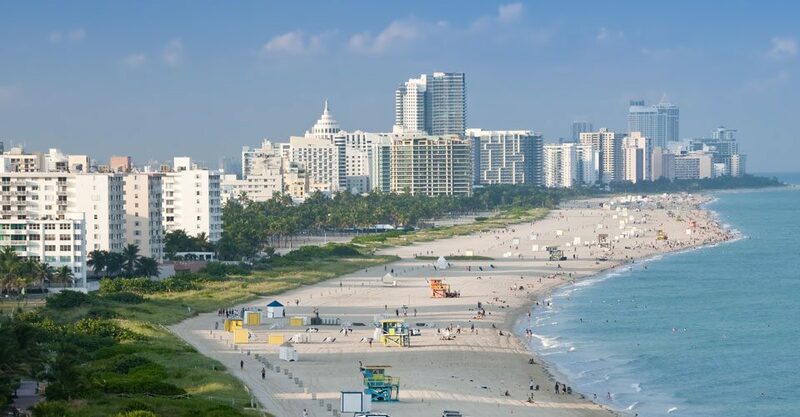 Our trainers, certificates and company are internationally recognized, and our trainings provide an experience that will allow you to connect with like-minded individuals from around the world. 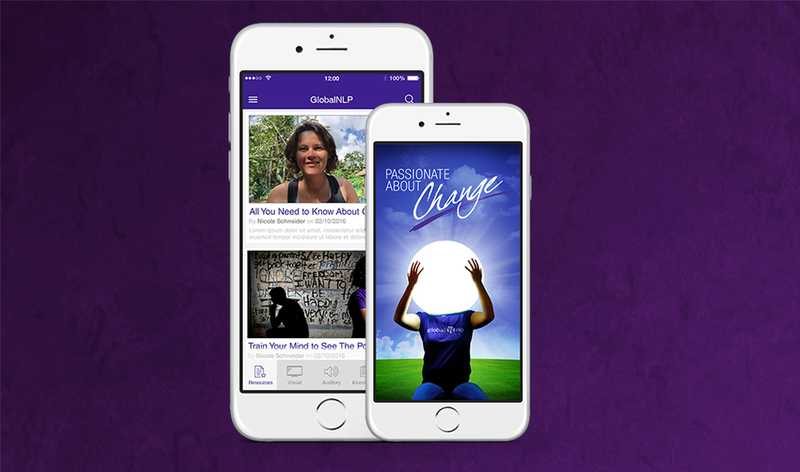 NLP is currently the most hands-on, powerful methodology available in the world of coaching. It gives specific techniques, patterns, communication tools and the ability to design custom patterns which are customizable to the clients' coaching sessions. 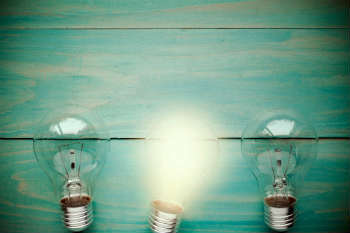 It also offers the ability to design techniques that will help clients resolve issues of the past, negative beliefs and limitations in the present, as well as to set-up the brain in a way that it can propel itself into the future. It works on a thinking, emotion, behavioral, conscious and unconscious level. This is unchartered territory in other coaching modalities that have a more goal-setting and life-project management focus. 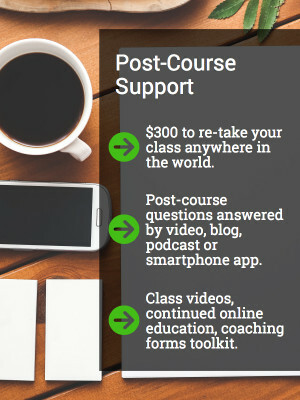 Our Life Coach Training certification program has two steps which can be completed one right after the other in the same city or joining us separately in two different course locations. We use NLP is a major aspect of our Life Coach training courses. Our program also offers more than 120 hours of training - triple the amount required by most national and international coaching organizations. Because NLP is learned through experience, we want to make sure you have enough practice to become familiar with the skills and concepts you are learning. 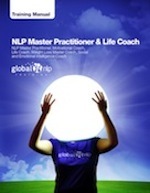 Foundation course as the first step into becoming an NLP Master Practitioner and Life Coach. 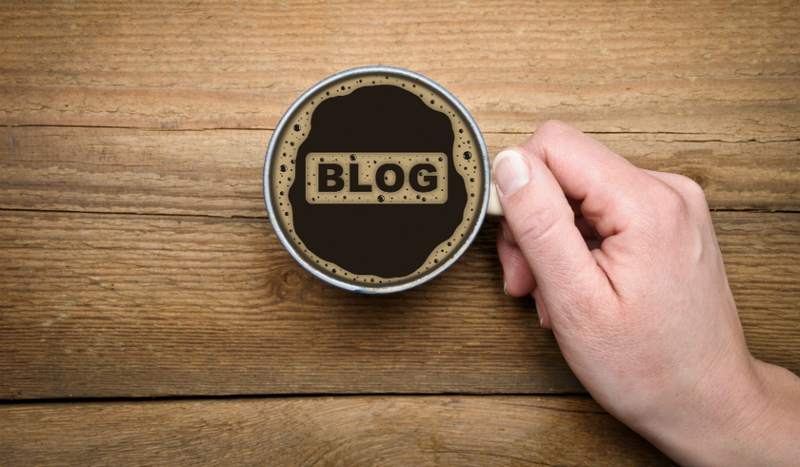 What makes coaching and learning NLP different from other methodologies and training? Traditional coaching has very little relation to psychology or therapy. NLP does, however it is different from traditional psychology, which has a focus on talking about the past on a very deep and structured level. 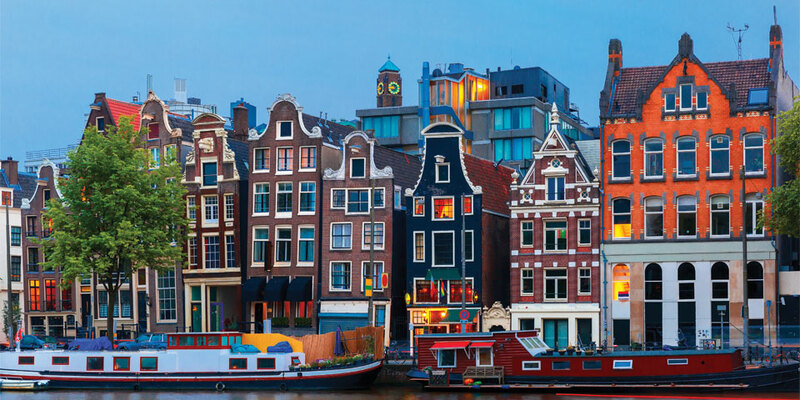 NLP has more of a relation to positive psychology (as a form of therapy, and not motivational speaking), which is only 10 years old and only taught by the leading universities of the world, such as Harvard. NLP is however still different from positive psychology, as it extrapolated tools from different fields of psychology, master communicators, and high flyers and top performers in business, education, and the sports world. 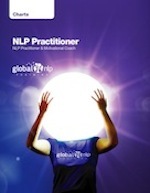 NLP Practitioner assumes that a person has had no psychology training at all, so this training still teaches topics such as how to build rapport, how to question, how to figure out presenting problems or limitations, to then propel this into the solution realm in positive ways rather than negative exploration. NLP focuses on the coding of the brain, and changing this through techniques. It steps into the world of changing emotions, thinking, behavior modification (including addiction), limiting beliefs, values and allows for a connection to spirituality and mindfulness if so desired by the practitioner. It is important to understand that other coaching methodologies focus in a training context more with an academic or a traditional "school" flair where information is presented, definitions and content studied and the doing is home-work, and largely focused around coaching using paper forms and pre-determined structure recycled for every client. Life coaching certification with NLP is taught using NLP itself in the presentation of the trainer, as they understand how the brain processes information, by doing, and experiencing. Through this the student not only learns how to apply NLP on other students, but is also the client with like-minded individuals around the world. 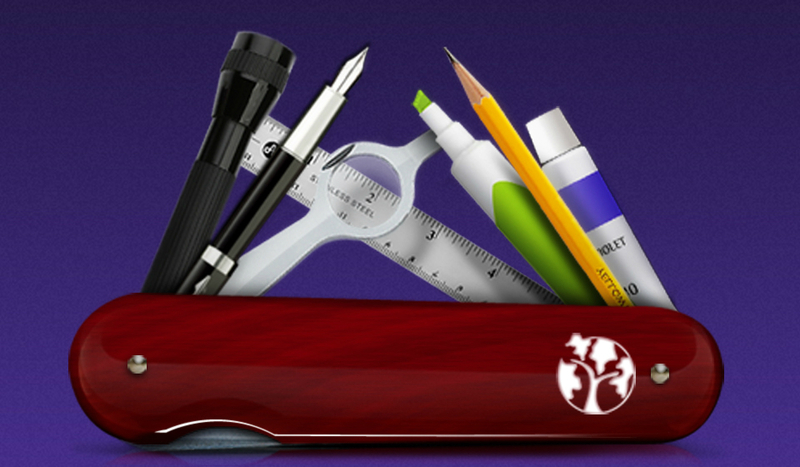 Through that it becomes a life and work changing training as well as a certification course. 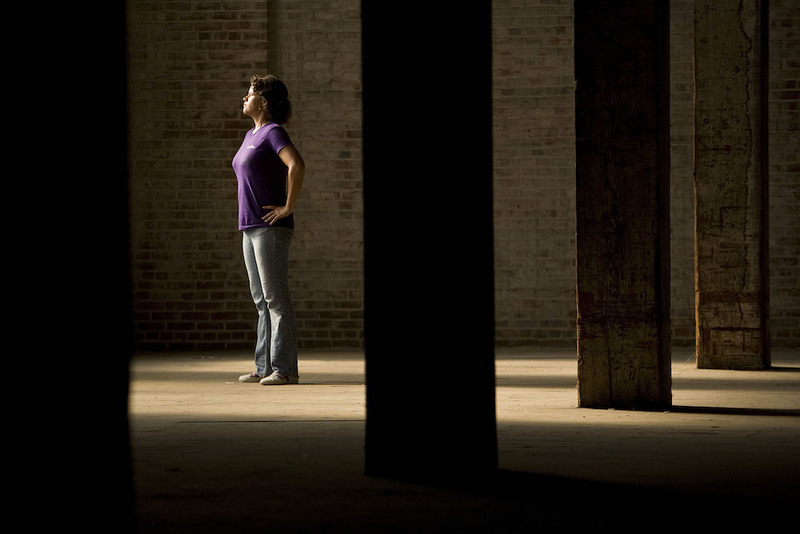 Traditional coaching relates more to goal setting and task management, encouraging, motivating, and consciously discussing problems rather than offering specific techniques to resolve limitations such as fears, phobias, negative emotions installed in the past, inner conflict, grief, anger, etc. NLP comes paired with questioning techniques that can make the unconscious real presenting issue or desire conscious, to then provide solutions or new options and possibilities for the brain. 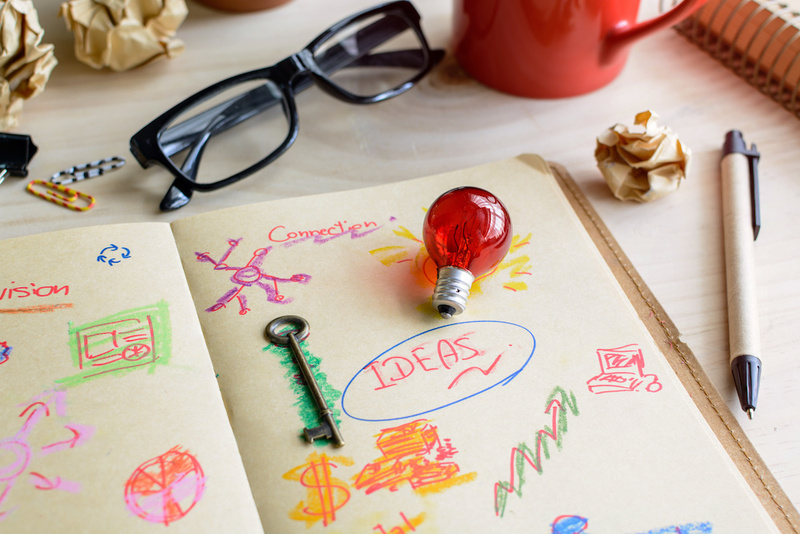 These are step-by-step processes that the NLP coach guides the client through. This means through NLP coaching it is possible for a client to resolve their fear, anxiety, and to step into better emotional states. NLP also has an advanced set of tools for goal setting, not just consciously, but the embedding of it in the structure of the brain: the coding of the brain. Though it works on a conscious as well as unconscious level, it cannot be considered esoteric. It is more logical, and like hypnosis it does operate on a conscious and unconscious level. The client is requested to do certain things with their brain inside these processes, in order to change coding. NLP has a logical and grounded approach. Eyes closed processes are not uncommon, where someone is fully awake with their logical mind fully and completely present (unlike hypnosis), but are more so a way for a client to change the way they code the information by visualizing internally, rather than being distracted by what is in the room and focusing externally. 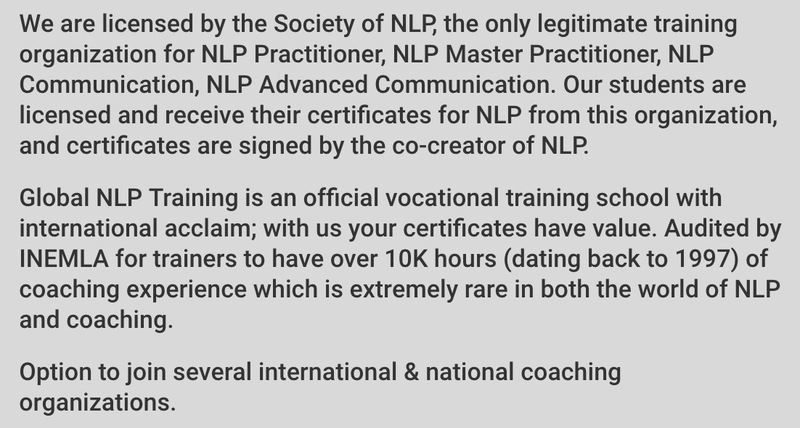 NLP is also paired with mastery in communication, which translates to coaching, mediation, negotiation, getting agreements, teaching, and public speaking.